The Annual North Gate Music & Arts Fest sits on W. Chimes Street on Friday, Nov. 11, 2017. Wortman Pottery showcases their craft at the Baton Rouge Arts Market on Saturday, March 3, 2018. Artwork sits on display at the LSU Museum of Art on Sunday, Nov. 5, 2017. Angelique Palmer, a finalist in the 2015 Women of the World Poetry Slam, performs her poetry at Eclectic Truth's "Presidential Pancake Poetry Night" on Tuesday, Nov. 8, 2016, at the Arts Council of Baton Rouge. Plants are for sale at the Succulent Bar hosted Baton Rouge Succulent Co., located on 8501 Highland Road on Wednesday, Nov. 18, 2017. The 13th annual North Gate Fest returns to campus from 4 to 11 p.m. with live music, art vendors and more. The Downtown Business Association’s last Live After Five event of the season has funk band Sierra Green and the Soul Machine performing at City Hall Plaza. Flow in the Dark yoga class at Yoga Rouge hosted by Dance Marathon at LSU. Tickets are $10 in advance and $15 at the door. City Pork Deli and Charcuterie will have all you can eat tacos and nachos from 6 to 9 p.m. for $15 per person at the Perkins Road location. Find the full menu here. Thomas Wimberly will host an opening reception for his inaugural solo show tonight at the Unit 7 studio at 11725 Industriplex Blvd. from 7 to 11 p.m.
Theatre Baton Rouge debuts its production "One Flew Over the Cuckoo's Nest," running until Nov. 18. For information on showtimes, ticket prices and more, click here. LSU vs. Bama at 7 p.m. in Tiger Stadium. Make sure to arrive early because the student gate will have metal detectors present. 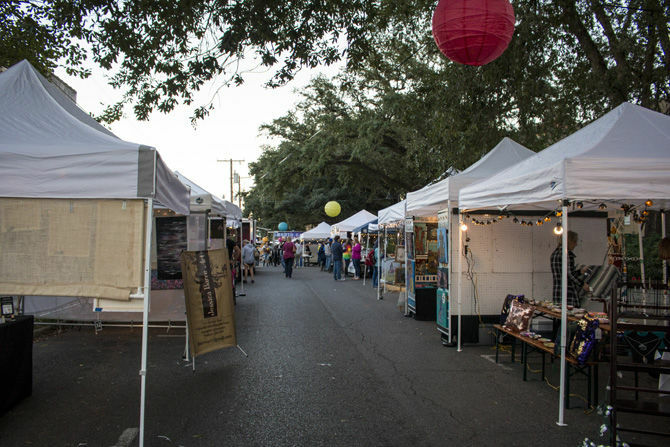 The Baton Rouge Arts Market will celebrate its 20th anniversary this weekend at the intersection of Fifth and Main streets downtown from 8 a.m. to noon. Come out for Virginia Rep Theatre’s production of the classic tale “Sleeping Beauty” at the Manship Theatre. The show starts at 2 p.m. and tickets can be purchased here. Slow Food Baton Rouge will host its sixth annual Slow Food Fall Heat farm-to-table showcase, complete with a cooking competition. 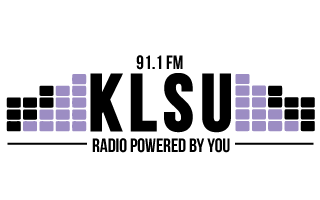 The event will be at the LSU AgCenter Botanical Gardens from 4 to 7 p.m. You can find more information about the event, as well as purchase tickets, on SFBR’s Eventbrite page. The Radio Bar hosts Free Food Sunday with samples from Flambée Cafe. Doors open at 3 p.m. and food will be served at 4 p.m.
Bring your pet for portraits with Santa at Capital Area Animal Welfare Society’s annual Santa CAAWS event. The event will be at BREC’s Perkins Road Community Park from 10 a.m. to 4 p.m. Purchase a photo package online here. LSU Museum of Art’s monthly Free First Sunday is back with free admission all day. The International Cultural Center hosts a yoga and meditation night at 5:30 p.m. in the ICC every week. LSU is celebrating first generation students with events all week, including a resource fair today on the Parade Ground from 11 a.m. to 1 p.m.
Election Day! Visit geauxvote.com and ballotpedia.org for more information on polling places, what’s on your ballot and more. Test your knowledge of everything 'Harry Potter' at trivia night in the Magnolia Room in the LSU Student Union from 6 to 8 p.m.
Support the LSU women's basketball team in the PMAC for the first regular game of the season as the Lady Tigers take on the Sam Houston State Bearkats. Tipoff at 5:30 p.m.
Join LSU Student Government for a midterm elections watch party in the Holliday Forum of the Journalism Building at 6 p.m. Food and drinks will be provided. The Vagabonds, Neutral Snap and Shipwrecked will all take the stage at the Varsity Theatre. Doors open at 8 p.m., show at 9 p.m. Tickets are $10 in advance and $12 day of show. Eclectic Truth holds its poetry slam and open mic night on the first and third Tuesday every month at the Arts Council of Greater Baton Rouge starting at 6 p.m. The event consists of a reading and workshop and attendees can donate $5 or pay what you can. Read more information about the series here. The Manship Theatre will host a screening of Ethan Hawke’s 2018 film “Blaze” at 7 p.m. Read more about the film on the event’s Facebook page and purchase tickets here. Astronomy on Tap at the Varsity Theatre with Dr. Andre Mueller of the Max Planck Institute for Astronomy, and Dr. Will Fischer of the Space Telescope Science Institute. Doors open at 6:30 and the talk will begin at 7 p.m.
Wine Down Wednesday at White Star Market includes a free community yoga class and $5 draft wine from Mouton's. As part of Media Literacy Week, Hill Memorial Library will host a film screening of the documentary "The Problem with Apu" at 4:30 p.m. in the library's lecture hall. A panel discussion will follow and refreshments will be provided. The screening is free and open to the public. Baton Rouge Succulent Co. will put on a Thanksgiving Centerpiece Potting Class from 6 to 8 p.m. Purchase tickets for $50 per participant here. It’s the most wonderful time of the year: Bama Hate Week.